Nick’s Note: Regular readers know we’re bullish on the markets at the Daily. But all good things must come to an end—and even this record-long bull-market will run out of steam at some point. 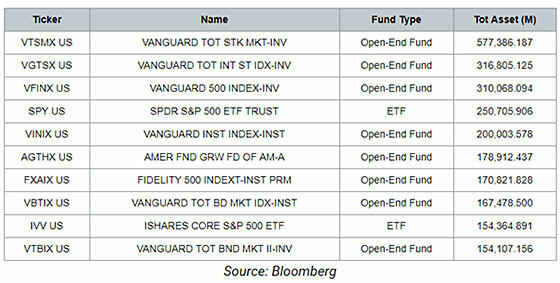 With over $5 trillion in assets under management, Vanguard (which Bogle founded in 1974) charges an average expense ratio on its family of funds of just 0.11%. The industry average is 0.62%. And American investors are $1 trillion richer thanks to Bogle, according to numbers calculated by Bloomberg’s Eric Balchunas. First, lower fees allow investors to generate higher returns over the long term, by having more capital invested in the markets while paying less for performance. Second, by seeking “beta” (average market returns) over “alpha” (above-average market returns), investors get better performance. Bogle created an investment vehicle that passively tracked the market, discouraged trading (due to taxes and transactions costs), and took full advantage of the compounding power of the stock market. 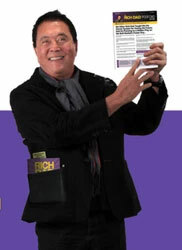 Whether you’ve read Rich Dad Poor Dad by Robert Kiyosaki, or seen the news saying 32 million copies were sold, your jaw will drop once you see what the author just did. He released a never-before-seen “chapter” of his magnum opus – and critics are going wild. The best part: you don’t have to have read the book to profit handsomely from it. Overflowing with wealth-building secrets he’s kept quiet for over 21 years, he’s giving away $753 worth of gifts – for opening the new “chapter” with him today. In other words, Bogle is the man chiefly responsible for the massive trend toward the passive, index-tracking funds we see today. 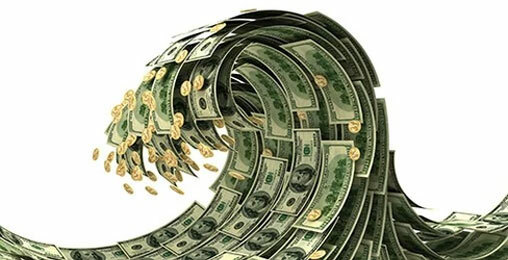 And if you’re having your doubts that the fake-money system is rigged… that gold is real money… and that we’re headed for the mother of all crashes (in which civilization itself has its knees buckled), then the simplest thing to do is to unsubscribe from Bill’s Diary today and shift most—if not all—of your money into an S&P 500 index-tracker. Then, let time, the stock market, and compounding interest do the rest. Our publisher will probably cringe to read that. But if Bogle is right, why would you do anything differently? It’s not a trick question. But my suspicion is that history will not be kind to Vanguard’s passive strategy after the next crash. Here’s the problem: The concentration of investor capital in the same big stocks virtually guarantees that the next mean-reverting crash in markets will be swift and severe. Clued-in investors are piling into this industry. Some of them include Warren Buffett, Bill Gates, Leon Cooperman, and PayPal founder Peter Thiel. You don’t want to miss out on this new stock sector that could hand you a $200,000 payout. 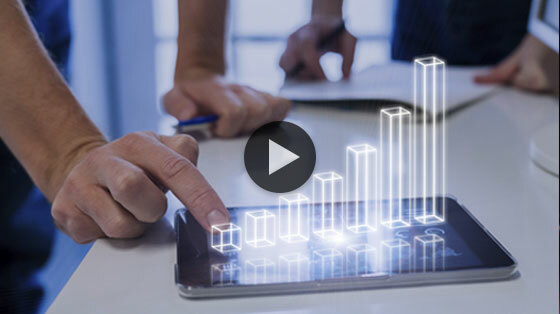 Chief analyst Nick Giambruno shows you what this product is and two ways to cash in. Passive, index-tracking investing strategies value liquidity over everything else. In the pursuit of low fees and beta, passive strategies favor big-cap stocks, regardless of how expensive they are. This “bias to bigness” only concentrates more of the public’s money in mega-cap companies, which deprives small- and medium-sized businesses of capital. Now, Bogle was right that lower management fees and expenses give investors better performance over time, all other things being equal (and bullish). And in a bull market like the one Vanguard has been able to enjoy for most of its existence, buying and holding the market saves you both time and money. But what if the whole trend to passive index-tracking has done nothing more than encourage laziness? Investing is hard… or, at least, it used to be. It’s not supposed to be easy. 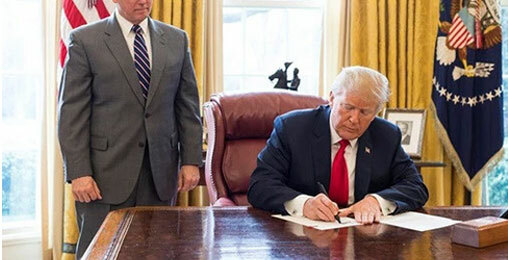 Is Trump’s New Executive Order Warning Us to Prepare for Historic Event? Donald Trump recently signed an executive order adding this white metal to the official "U.S. Critical Minerals Directory." This labels the metal as "critical for national economy and security." In a Fed-backed, Bogle bull market, you have all these people owning the same narrow range of big-cap stocks—who will get their faces ripped off in a correction or crash. Bogle won’t be so popular then. Let me be clear: I’m not bashing Bogle as a person or as an investor. It would be astoundingly arrogant and ungracious for me to do so. The relevant issue here is the titanic shift in assets under management from the active stock pickers seeking alpha to the low-cost, passively managed index-trackers seeking beta. Remember normalcy bias? And let’s not forget recency bias, either… Don’t be lulled into thinking that, just because a market crash hasn’t happened yet (or hasn’t happened recently), it can’t happen at all. The Fed has created abnormal market conditions which will make the next crash worse. So hats off to Bogle for a great financial innovation. But don’t let it trap you at the gates of the next bear market. P.S. If you don’t know, our mission with The Bill Bonner Letter is to protect your wealth from “the big loss.” We look for the big trends coming our way and put you on the right side of history. And right now, we’re seeing a disturbing development taking place. Call it socialism… financial martial law… or even the death of win-win capitalism. It’s all the same. And it’s coming faster than you think. Get the full story here. All of these technologies will be here in just a few years. But they all depend on the creation of one piece of tech.